Recently we wrote about Business serviced synced and the Business app. Next WhatsApp step, that should be available when all business services will be released for all users, will be payments. 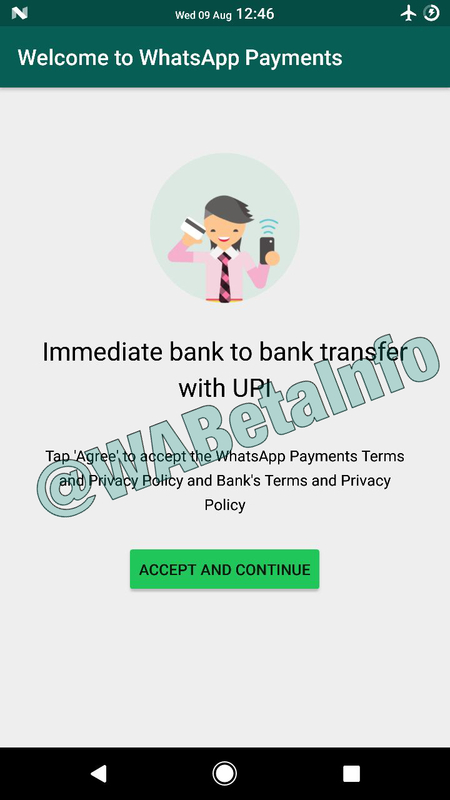 WhatsApp Payments: “the immediate bank to bank transfer with UPI”, reports the official WhatsApp Payments section for Android, that’s still hidden and under development. When more information will be released, you will be notified on Twitter and Telegram. Previous PostPrevious WhatsApp business service synced! Next PostNext WhatsApp beta for Android 2.17.297: what’s new?